First, a little PSA: Sephora has its twice-yearly 15% off sale starting this Friday, April 20th. 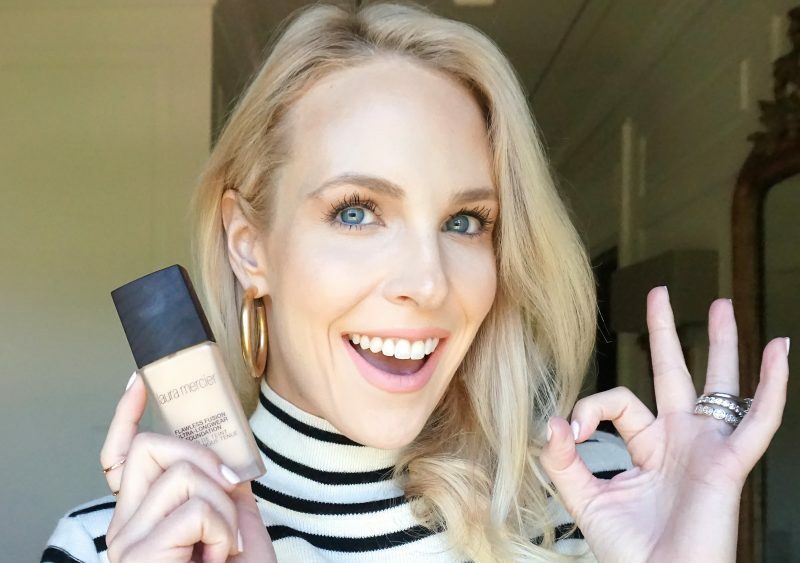 So you might want to hold off on buying this foundation and any of your pricey serums or devices until then. Don’t worry, I will remind you– I plan to send out a post on Friday with a full round-up of my sale picks. 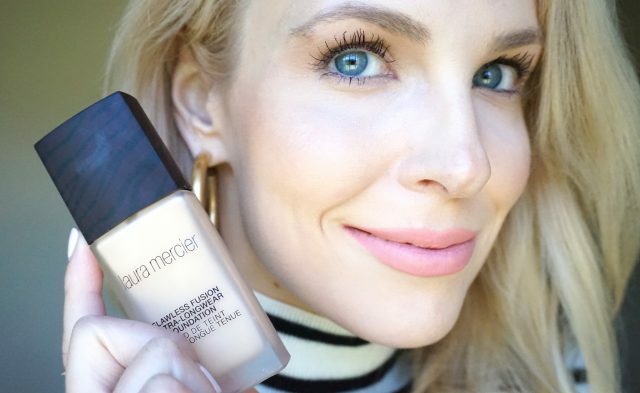 Laura Mercier Flawless Fusion Ultra-Longwear Foundation (available at Nordstrom and Sephora) is [in their words]: “Laura’s longest wearing foundation [that] seamlessly fuses to skin with a weightless layer that looks, fits and feels like a second skin.” It is oil-free, does not have SPF, and has a velvet matte finish. The label says it has “medium-to-full coverage,” but I would describe this as very full coverage. I would also describe it as mattifying and pore-minimizing. Flawless Fusion is a thinner foundation, similar to the consistency of the reformulated Make Up For Ever Ultra HD Foundation. It is not thick like Giorgio Armani Luminous Silk, but not watery-thin, coming out in droplets, like the Giorgio Armani Maestro Fusion. The consistency is somewhere in between, but thin enough that it spreads out easily with your fingers. Two full pumps gives plenty of coverage for my whole face. The formula is oil-free, and is not moisturizing at all. I have been wearing this for events at night because it does not have SPF, but I also think it might be a little drying if I were to wear it every day. So I would not recommend this for super dry skin, and I think it would be great for normal to oily skin or anyone with large pores. As close up as I could get. The coverage of Flawless Fusion is really where it stands out. It is fairly thin, yet has very full coverage, way better than the MUFE Ultra HD. It erases imperfections like redness and dark circles, almost negating the need for under eye concealer (*almost*). Its real standout quality is the way it minimizes pores- it made my skin look almost fake. The label describes it as being “naturally you,” but I do not think it is a natural look at all. It makes your skin look way too perfect, but it does not look like real skin to me. However I wore it for church this morning, and my friends were insisting that it looks amazingly perfect and totally natural enough for day. 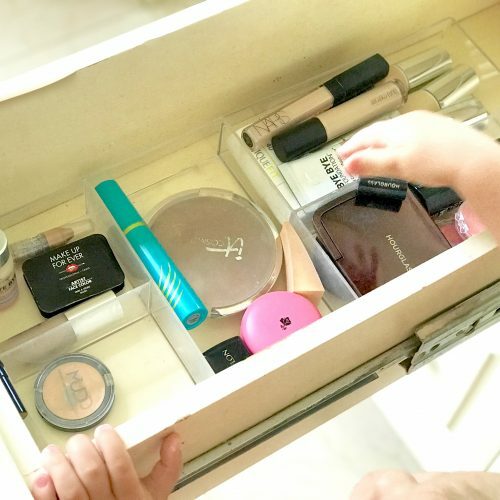 The finish is definitely matte, which is different than the foundations I usually wear, like the Loreal Pro Glow at night, or the It Cosmetics Bye Bye Foundation (full review here) during the day. At first I thought it was too flat and matte, but once I put on my blush and bronzer, I really liked the way it looked. Just a really “finished” and polished look that is great for events. After seeing photos where I was wearing the Flawless Fusion, I think it photographs way better than the Loreal Pro Glow I had been wearing. I think that one looks good in real life, but I looked a little shiny on my forehead (especially if I have recently gotten Botox). 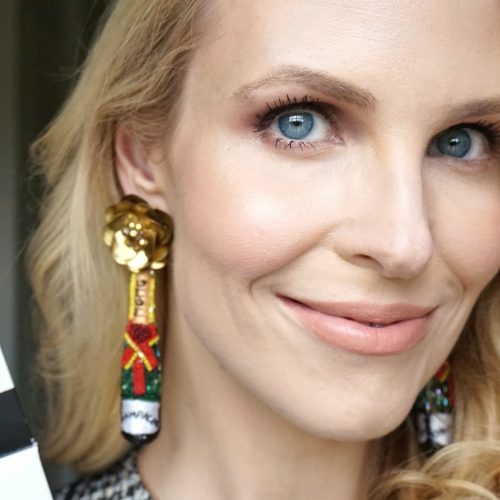 I feel like the Flawless Fusion foundation controls oil too, as I find myself needing to use my oil blotting sheets less frequently throughout the day. 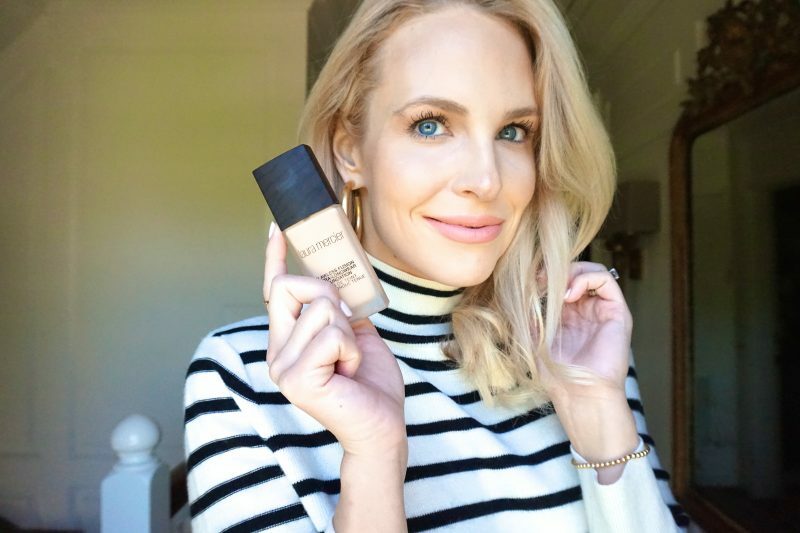 The Laura Mercier Flawless Fusion has the best lasting power of any foundation I have tried. 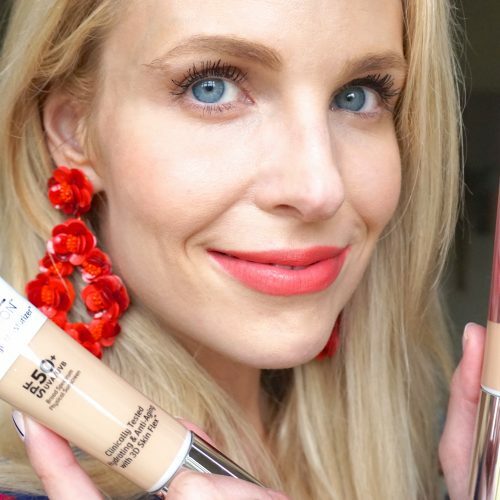 It lasts as well or better than the famous Estee Lauder Double Wear foundation, but the Flawless Fusion looks way more natural and less mask-like. It is just a newer technology I did use a primer first on bare skin- the Farsali Unicorn Essence. After waiting about a minute for the primer to totally soak in and dry, I applied Mizon Snail Cream, then Elta MD UV Clear. 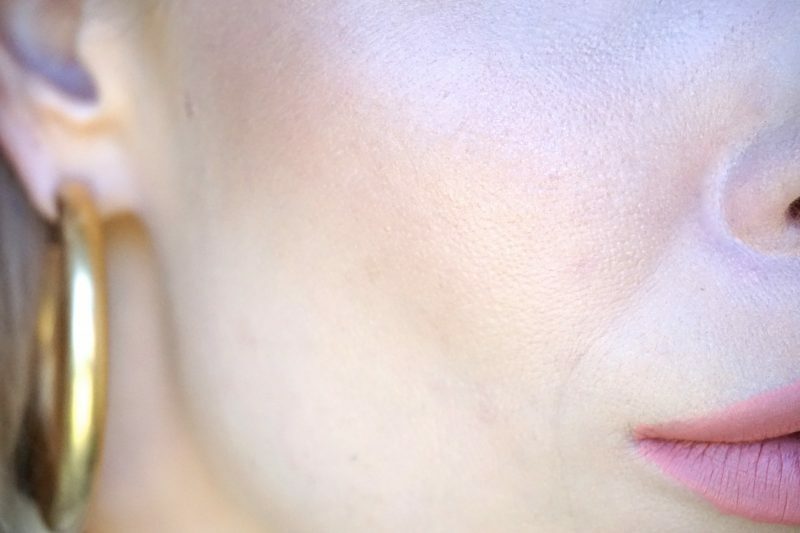 Then I applied two pumps of the Flawless Fusion foundation with my fingers, making sure to blend out the edges around the hairline and jawline with a makeup wedge. Since Flawless Fusion is very matte, I topped it with an illuminating setting powder, the Hourglass Ambient Lighting Powder in Ethereal Light. And then instead of using my regular Urban Decay Setting Spray, I spritzed the CoverFx Illuminating Setting Spray, which gives a little bit more glow. 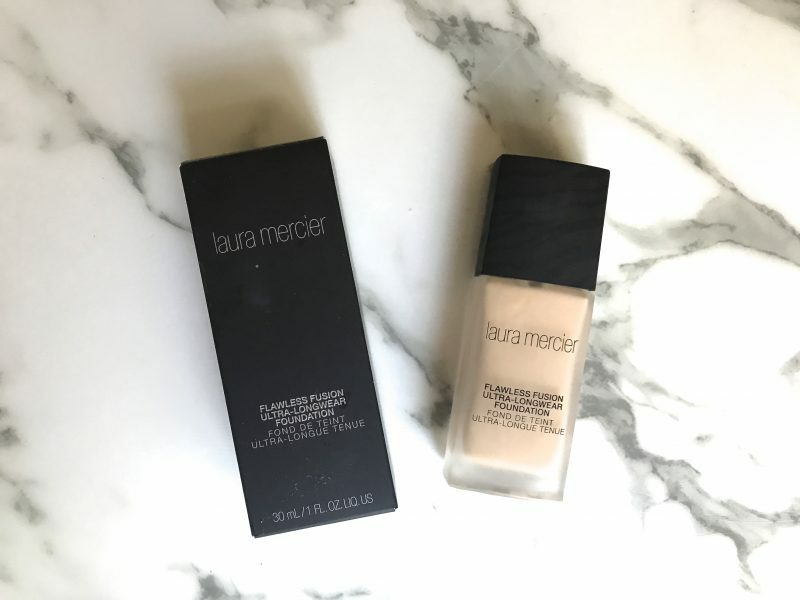 I originally received the Laura Mercier Flawless Fusion Foundation for free from this Influenster program I participate in. 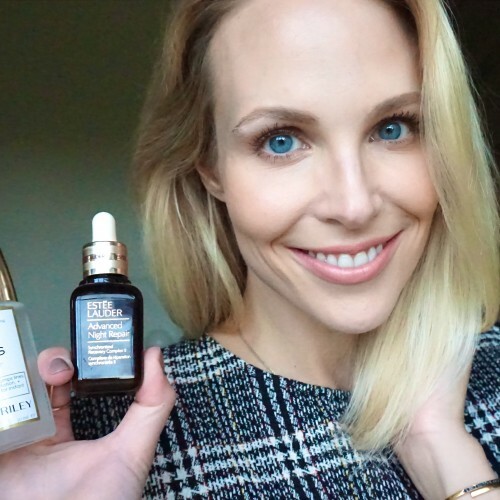 I have received several items from them, but have never done a full blog post recommending anything because no product was worthy until now. Influenster sent me the Creme shade (fair with neutral undertones), but it was slightly too light for me. 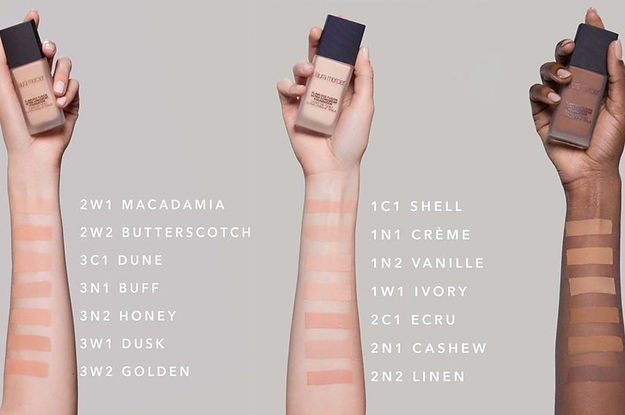 This foundation has an impressive range of shades, including options with cool, warm or neutral undertones. So I ordered a second bottle in Vanille (fair to light with neutral undertones) on my own dime and it is the perfect shade. On a personal note, I am attending the RewardStyle blogger conference this week for the second year in a row. A great achievement as it is invite-only and based on earnings. Thank you so much for your support that got me there! By clicking on my links and purchasing online instead of in the physical store you are helping to support my blog and to keep it objective and sponsored post-free. So whenever possible, I hope you will consider ordering a product from my links instead of following all my advice at the store. Or not. Sometimes you just need to go to the store and buy yourself a lipstick. I get it!